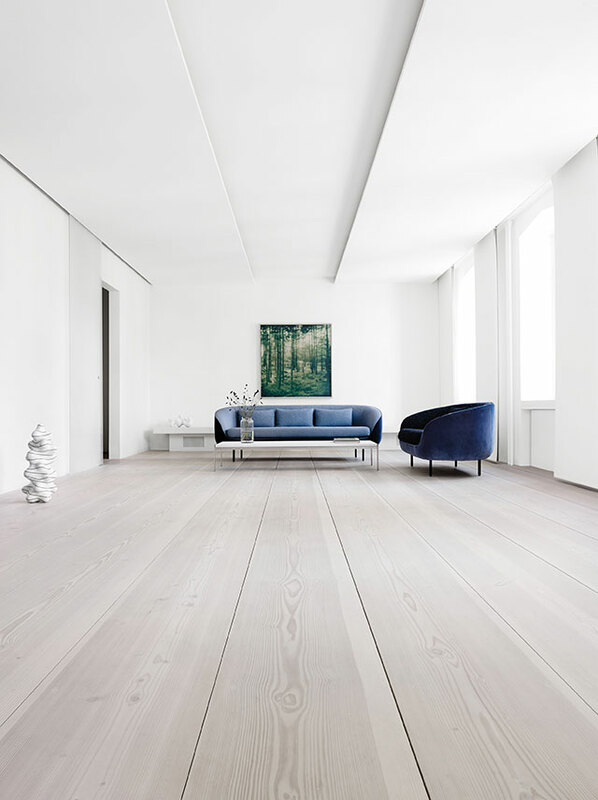 The exquisite Dinesen home captures the essence of the family-run company. 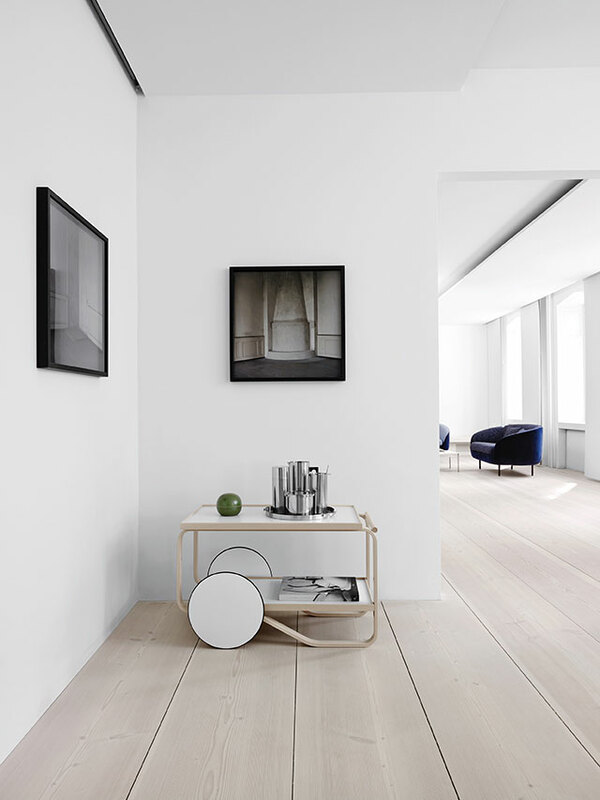 It is Nordic and light, and the passion for wood, architecture, design and art is evident in every detail. 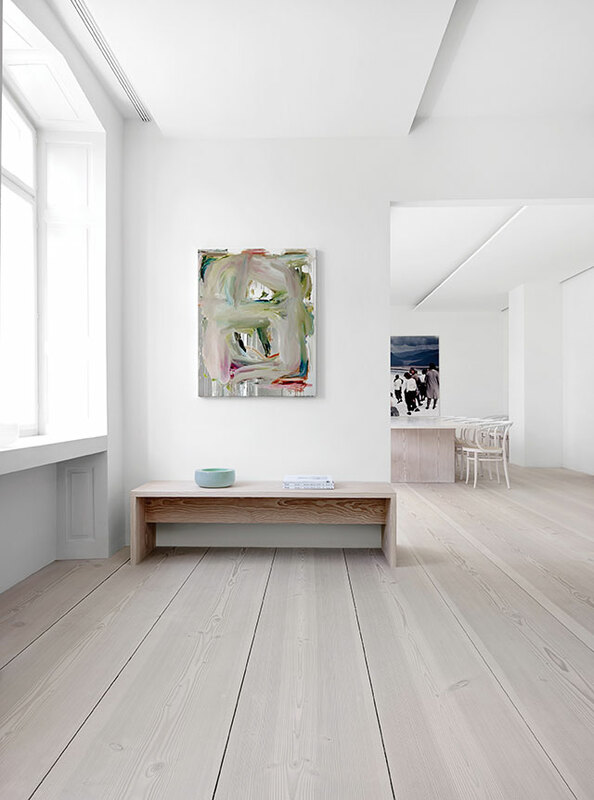 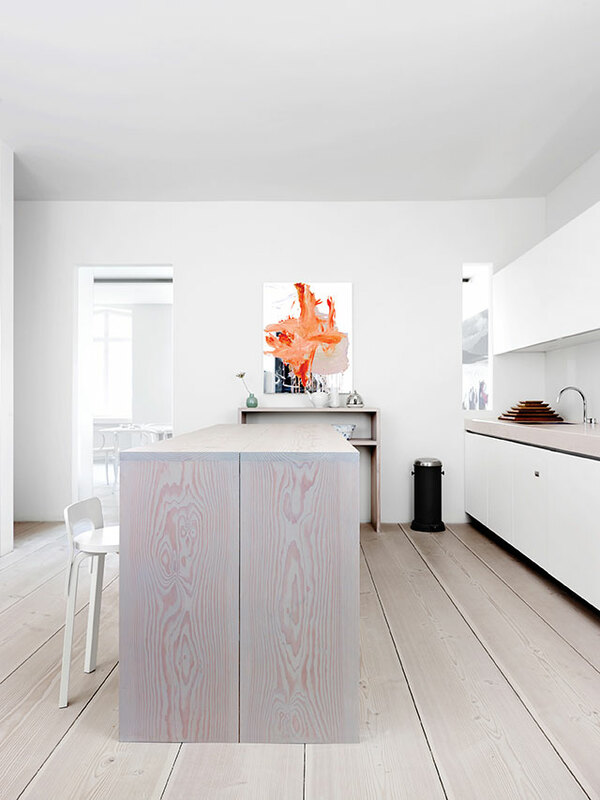 The large flat in Copenhagen has amazing floors made from 12 meters long and 45 centimeters wide Dinesen GrandDouglas planks – Simply breathtaking. 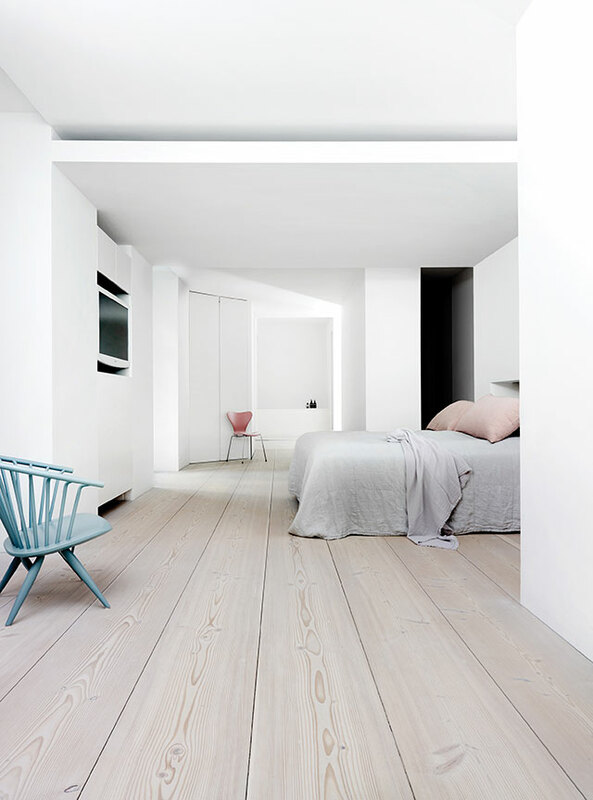 You’ll also notice one-off furniture made from the same floorboards: the dining table, the kitchen island, a bench and the cool paneling in the bedroom. 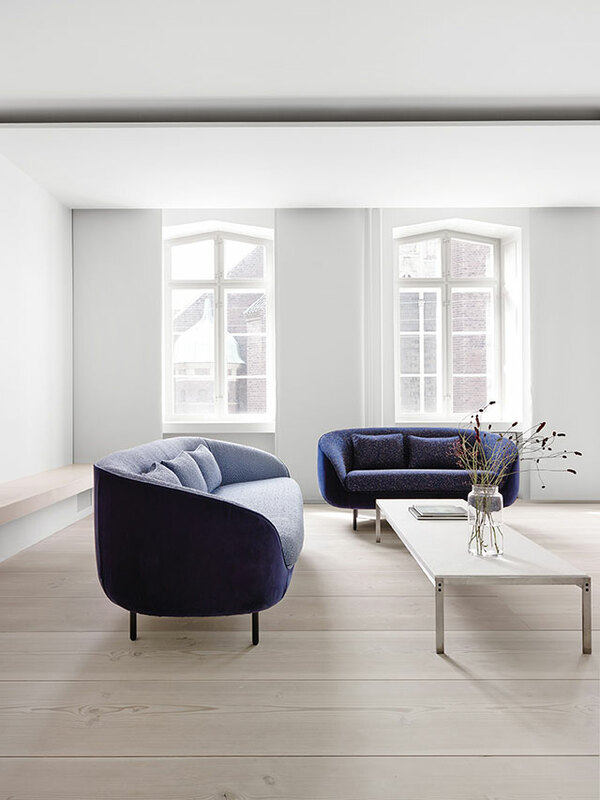 The beautiful space was sparingly furnished with exclusive and carefully curated pieces from Arne Jacobsen, Vipp and Artek, among others. 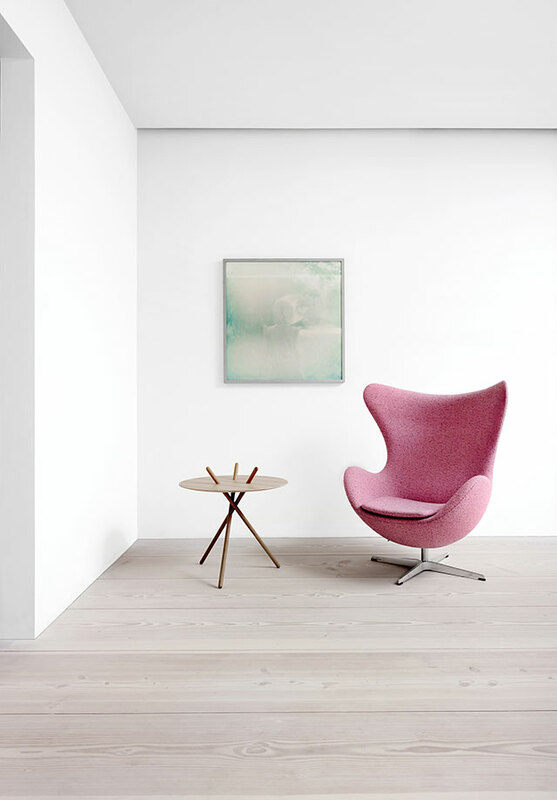 It is a fab example of Scandinavian modernism. 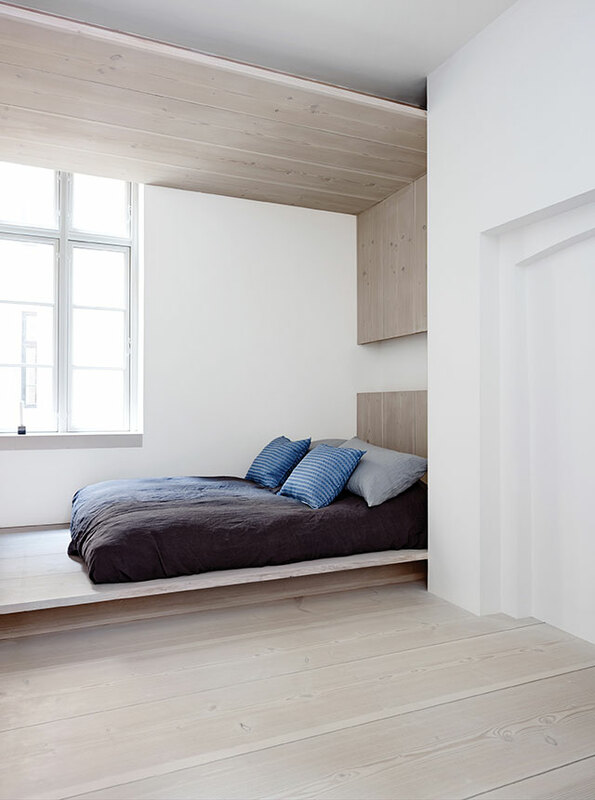 Unfortunately, access to Dinesen Home is limited to special occasions… but you can take a peek below! 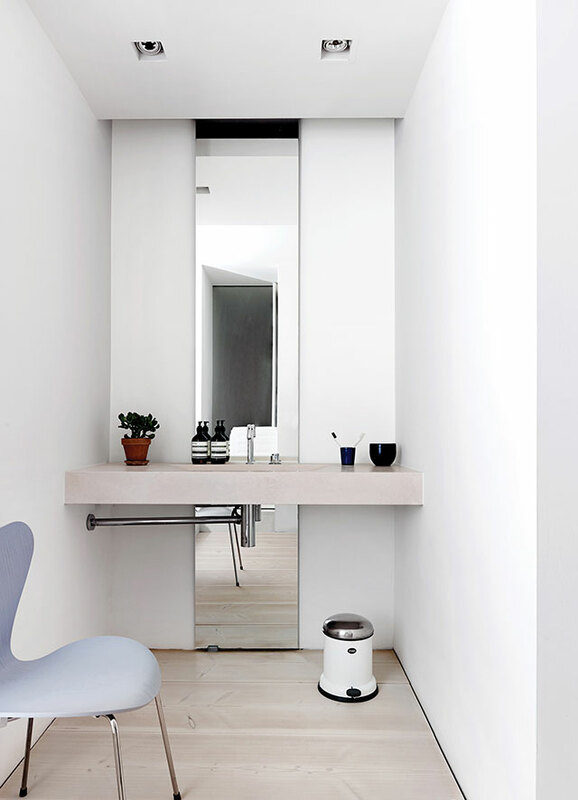 No lighting except for the bath! 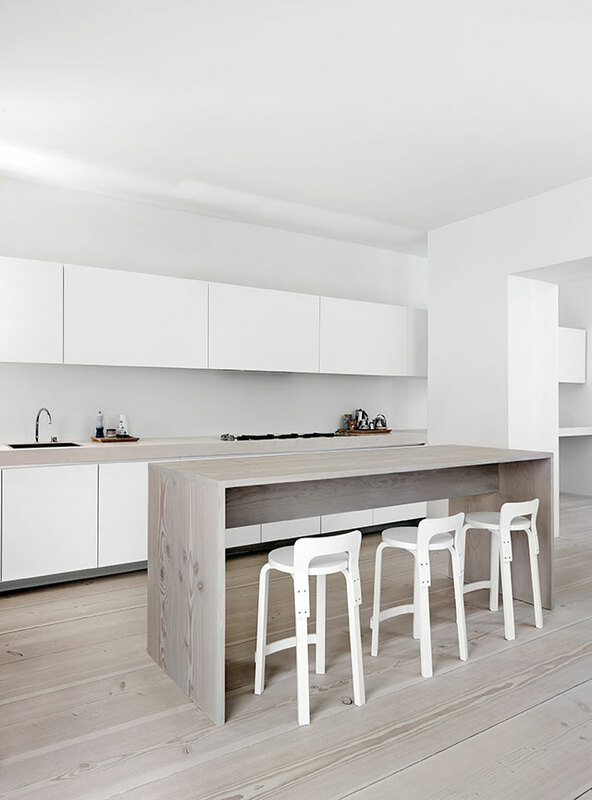 I think the lights (possibly LED strips) are hidden along the edges of the panels on the ceiling.